Maxim Shostakovich Interview with Bruce Duffie . . . . . . It is rare in most fields to have different generations of the same family succeed to an equal or similar extent, and Classical Music seems to have very few examples. I have my own list, but will allow each reader to select their own rosters. 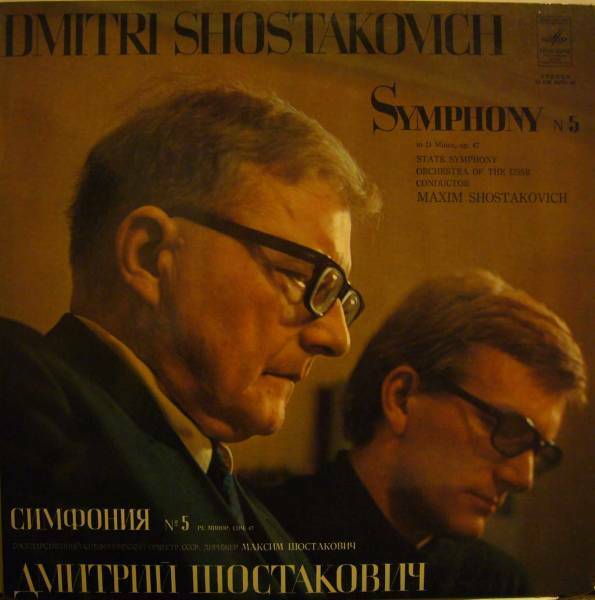 One, however, is noteworthy for many reasons, and that is Shostakovich. 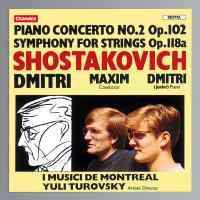 The father, Dmitri, was a giant among 20th Century composers, and his son, Maxim is, as they say, no slouch among conductors. Naturally, the son concentrates on his father's output, but his repertoire is large enough to certainly be included as a conductor and not just a specialist. In 1992, he came to Chicago for appearances at the Grant Park Festival on Chicago's lakefront, and I had the opportunity to spend an hour with him at his hotel overlooking our magnificent skyline. The engagement was significant enough in both professional and personal ways that he had brought along his wife and infant child. When we settled in for our chat, he was speaking himself, not through a translator, so what he said and how he said it reflects his understanding of both the ideas and the English language. In a few instances I have fixed verb tenses or corrected grammar to make the structure agree, but I have left a lot of the quirks and mannerisms to give a sense of flavor to what he said and how he phrased his thoughts. At one point, when we were discussing the purpose of music, he simply ran out of his supply of English words, and in another instance he gave me his thought in Russian which I later had interpreted and have inserted into the text at the proper place. As usual for me, I steered the conversation mainly to the musical topics, leaving most political discussions to others. Here is what went on that lovely afternoon . . . . . .
Bruce Duffie: You have made a career of conducting all kinds of music. Is it special when you include something by your father? 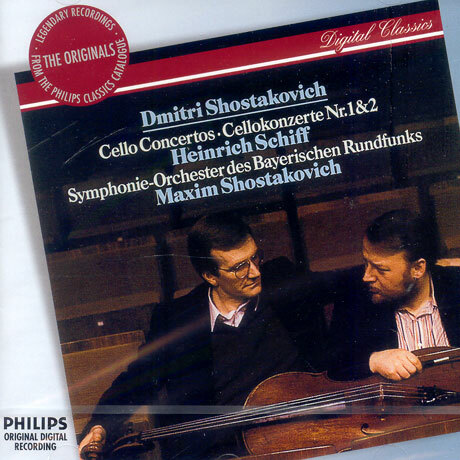 Maxim Shostakovich: Sure, especially in my last period of creativity of work, to include more and more music by my father. It's my really native music, and I couldn't live without this music. It helps me to live, to be happy. BD: Is it more native than Tchaikovsky or Mussorgsky, or the others such as Schnittke? MS: No, because it's really native. It's a direct connection, a blood connection. BD: Do you feel an obligation to bring the music of your father around the world, or do you feel that it's making it well on its own? MS: I like to do it, and I feel it's part of my duty, actually. BD: Do you ever listen to performances of your father's music that others conduct? MS: Absolutely! Many, many excellent conductors and excellent orchestras perform father's music, and I find a lot of a lot of new adjustments to pretty strong tradition which already exist! MS: Yes, which bring other conductors, new conductors, the young generation. BD: Is your performance, though, a little more authoritative? MS: Maybe it's a little bit simpler for me because I feel Shostakovich music. 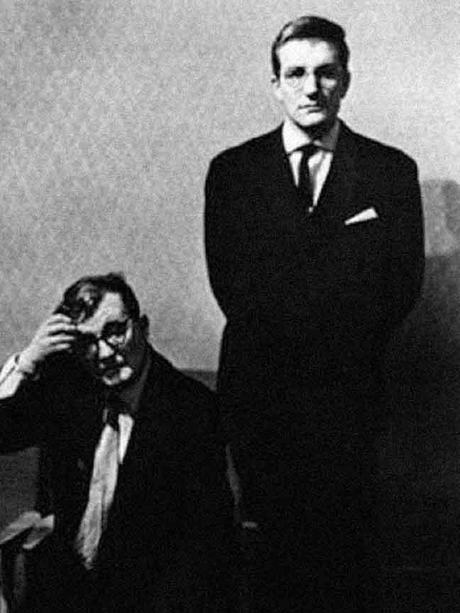 Shostakovich is my father [both pictured at right] so it helps me to be maybe a little bit closer because I can recognize his voice, his kind of character, his kind of talking and thinking through his musical phrase. Biologically I can recognize all kinds of father's character which I know very well because I spent all my life with him. His kind of humor, his kind of anger, his kind of talking; for me he will never die because when I conduct his music I feel like he stay close to me and talk! I recognize his voice through his music. BD: And then you share this voice with the public? BD: Do you feel that the public understands the music of your father? MS: More and more. What's interesting and is very remarkable is that in Europe and in United States, more and more public love his music. BD: The symphonies and the string quartets as well as the operas, too? MS: Actually chamber music in all the world is a little bit less popular. I don't know why it is, but that is very much a pity. But there is some interest; a lot of string quartets now realize the whole cycle of Shostakovich quartets. The Borodin was the first, also the Fitzwilliam Quartet in England and lately the Manhattan String Quartet. BD: Does each one bring something special to it? MS: Sure, because it's like a new reading, always. Each performer brings something new! BD: You don't need to mention specific names, but are there performances that perhaps stray a little too far away from what your father intended? MS: [Thinks for a moment] Sure! Some of the records maybe I like less, some of them more. It's like each performances of Tchaikovsky, of Beethoven; somebody do it better, somebody else not. Simply maybe some conductors simply do something other better. Some kind of music is more close to my heart, some kind of music is farther. Like people say, "It's not my cup of tea." For some of conductors, some of musicians who perform father's music it's not their taste! BD: But they still do it, though. BD: Do you find that your ideas about specific works are changing and evolving as you get older? MS: Absolutely, like artists, which have a different period. Critics will say about them that they have an early period, middle period, late. It's the same for conductors and musicians too! I feel that now I change, too. I try to be closer to score and have less adjustments, less of my own fantasy. To follow more the ideas of the composer is more important, I think. BD: You're not reining yourself in, are you? MS: No. When I was young, maybe I try to feel maybe my own ideas in my father's music and other music. I was a little bit far from the original composer's idea. But now I try to follow especially what each composer would like to say, regardless — Shostakovich, Beethoven, Brahms or somebody else. BD: So you're understanding music more and more each day. MS: I try, yes. And I try to be less myself in this music. I try to discover and open what each composer wants to do. BD: So it's the composer is first, then. MS: It's not my show. [Both chuckle] The composer's first, yes. BD: [Slyly poking just a bit] Then why do we applaud you when you conduct? MS: [With a broad smile] Because we perform it! We are performers. Composers and performers, a symbiosis of two. Music couldn't exist without performers. BD: So he needs you and you need him equally. MS: Sure! Equally. Composer inspire conductor, conductor inspire orchestra, orchestra inspire public!! BD: That completes the circle, then? BD: So the music doesn't really exist, then, until it reaches the ears of the public. MS: It's a complicated question, but I know a lot of people who open a score and read like book, and receive deep satisfaction. BD: Is that the music, then? MS: I think it's a high-level approach. But at the same time, these people who can do it visit a lot of concerts and they listen to a lot of records. BD: You've made some recordings. Do you conduct the same in the recording studio as you do in a concert hall? MS: Oh, sure, maybe because I work a lot of years — more than ten years, actually — in radio. I receive a habit to feel in the studio like in the concert hall. But I remember in the beginning of my work in radio, it was a little bit difficult for me. BD: Is there no audience in the radio studio? MS: Sometimes, but mostly it is without audience. In Russia it's mostly without public, and it's a little bit difficult to feel same, like with public. But later you receive a habit. I like to record from performance direct, but it's very much a pity sometime some mistakes are made in the orchestra, some wrong notes or something. Everything can happen during performance; even the conductor can do something wrong. It's very rare to record from a concert and satisfy the producers, but actually it's very good to listen that way because during a concert you have so much more inspiration. BD: A feeling for sweep of the music? MS: Yes. The public can help you! BD: So you feel them behind you? MS: Yeah, I feel! Sure. BD: Do you feed off of that feeling? MS: Yeah, especially when you feel the public during the pauses. [Chuckles slightly?]. BD: You mean between movements? MS: Not between, but inside movements when sometimes you have some pause. In this second, you feel like the public is waiting. It's fantastic. BD: They have the anticipation of what's coming? BD: Does that also link between movements, or is it a letdown? MS: I try to make shorter pauses between movements. In the symphony I think it's very, very important. Also, I remember my father said once to his friends — members of the Beethoven Quartet which was first performer of many, many of his quartets — he asked them to not tune between the movements because it broke the image. So I try to make the pause shorter and less relaxing for the public. BD: Do you don't make it attacca? MS: Sometimes I do it. In 5th Symphony of my father, after third movement to finale I make attacca. I also do this in a lot of other symphonies, not only my father's symphonies. I like attacca. You can make a little pause, but the listener will still be in the mood. They don't lose concentration. BD: Do you find that you approach music of other musicians a little differently because you're the son of a great composer and have learned all of this at his knee? MS: Other composers, no. I simply said that the musical language of my father is for me easier to understand directly because I remember his construction of his phrases, of his kind of talking. But other composers, no. BD: You don't figure that maybe a certain passage here or there in Beethoven was similar to what your father would've said if he had written that piece? MS: No. During my education, I listen a lot to the mind of my father about different performers, of other composers — Mahler, Beethoven, Stravinsky, Brahms, et cetera, and I remember what he said. His opinion was very important for me. It is a big, big happiness to live close to a musician of the caliber like Shostakovich. BD: Were you forced to be a musician, or did that happen because you wanted to become a musician? MS: Since my very early age, when my father take me to the first rehearsal of his 8th Symphony, I decide to be a conductor. But later he asked me to practice piano, and to grow up like a pianist. Later I start to combine my musical lessons — pianist and conductor — and I became a conductor. It's my duty. My father composed so many symphonies, I think it's my duty to conduct them. BD: Would he have been disappointed if you had become an engineer or a civil servant or a painter? MS: I like to paint. Even I make, once, a not bad portrait of my father. No, I think all my life I dream to be a musician, a conductor. BD: Is music at all political? MS: No. Politics can influence music. BD: The composition or the performance, or both? MS: Music as a whole; composers, too. Especially in Shostakovich music, he doesn't show politics like it is; he shows human beings in the world in all circumstances — under pressure, happy, unhappy, everything. First is suffering, and all feelings of human beings are in music, I think. BD: Suffering and joy too? MS: And joy, everything! Music is about us. BD: Is there more suffering or more joy? MS: It depends upon what composers want; it depends on what he decides to create. In a waltz or polka of Strauss, in his polka is more joy; in the 2nd Symphony by Mahler is more sorrow. BD: I'd like to ask about the operas Katerina Ismailova and Lady Macbeth. Should one be done, and not the other? MS: No. All of them can be done! Simply, when Shostakovich make a second revision, it was important to do at that time because of the circumstances. When the government prohibited this opera, they feel guilty after years and years, and they force Shostakovich to make a new version. Then they could say, "Oh, Shostakovich was satisfied with himself!" They said that it was his idea because he doesn't like the first version. It's not right, but at the same time when father start to do this new version, he do a lot of good things in the orchestration. There is a better balance, but at same time, the powers forced him to change words in a lot of places. I think that the words are better in first version. The language is stronger. BD: Is there any way of putting the first text with the second version? BD: You should put them together to get the best of both. It would be strong and also mature. BD: When you are rehearsing a concert, is all your work done at rehearsal, or do you leave something extra for that night of performance? BD: Right, move the pawns to the middle. MS: Yes! But then there'll be different moves. It's something which is true, because really improvisation's very attractive for musicians. We like to do it. BD: But you have to know the orchestra to know how far you can lead them. MS: How far, yes, which is a frame of what is possible. BD: When you come into a city for a week or two weeks, can you make that orchestra into your own instrument, or do you have to use what is there and feel a little trapped? MS: It's really difficult to do it during performance, but at rehearsals, musicians are so professional! Immediately, during just a few minutes — maybe ten, 20 minutes — they actually understand your way. It's like when you meet some person you know and this person starts to talk, you recognize his voice very fast. You feel the character because you are professional! We are all professional in relation with people, but musicians are professional in question of relation with musicians. They catch very fast your ideas, and if the orchestra is better, they do it faster. They catch your ideas and they have a strong memory. It comes with the experience of a conductor. When you are young, it is more difficult, but later your experience helps you grow up, and it becomes easier to establish good professional relations with a new orchestra. Actually, in the conductor's business, the most important thing is relations with people; human relations because each musician is a human being and he has a character. You immediately recognize his character and what's closer to his heart through his solos. For example, even if you never talk with the principal clarinet, you feel his character and his personality after he plays his solo in the symphony. And when he approaches and starts to talk with you, you feel like you have met him and talked with him before. BD: You've had an interaction with him. MS: Yes, sure, already through a musical phrase. BD: Is it especially fulfilling when you work with a fine orchestra — can you get more and more out of the music? MS: Sure. It's more, yeah. BD: Does that influence, then, the kind of music that you can program — perhaps more difficult pieces? MS: Sure. If technically the orchestra not so brilliant, you spend more time for technical problems. If the orchestra's at a technically very high level, you can spend more time for music and not for technique. BD: You spent a lot of time conducting in Russia, and you know the Russian orchestras and the Russian mentalities. How is that similar or different to American orchestras, American musicians and mentalities? MS: I never think about orchestras as being Eastern, Western, Northern or Southern. I think there exists bad and good orchestras. Some American orchestras play Tchaikovsky better than bad Russian orchestras, and some Russian musicians play German music — like Emil Gilels' Beethoven — better than some German pianists! BD: So it's just the standard of musicianship. MS: Yes, absolutely. All professional musicians have approximately the same education, and when it's high-level international musicians, they do it excellent. BD: Is this partly due to the recordings which can take a standard all around the world? For instance, the orchestra players hear recordings made by the Chicago Symphony or by the Leningrad Philharmonic. MS: We can recognize different orchestras on records, but it also depends on which conductor is there. BD: Does that help other orchestras to play even better when they hear things played better? MS: Maybe. A solo performer, before his own concert, can listen to a lot of different performances and try to find good ideas. BD: It gets everybody to strive for more? BD: Are there some works of your father which have not really caught on, that should be played more? MS: Some of his symphonies are very long and difficult. Sometimes not all orchestras are able enough to perform these symphonies. Also, as I said, chamber music in our time is maybe less popular than symphonic music, but it goes up all the time. It's hard to say; I like all of my father's music. BD: Is there something that really hasn't been performed very much that should be performed? MS: Maybe very difficult things like his opera The Nose. Its' very, very extremely difficult. I remember I conducted it at the English National Opera in London. It's something special. Wozzeck and The Nose, most difficult operatic works. Also now, the level of solo performers, like of violinists or cellists or pianists, is very high. Some years ago, his concerti for solo instruments seemed to be very difficult for some performers. But now, like in sport, the level of performance is technically so brilliant. They can play more difficult things. BD: Like the four-minute mile, for so many years no one could do it; now everyone has to just to be in the race. So the level keeps going up. BD: Are there any works of your father that have not been published, or do we know them at all? MS: Actually mostly everything is out. BD: This is, perhaps, a touchy question, and if you want to dodge it, it's all right. There's some controversy about whether or not he was trying to say one thing or another thing in this or that work. Do you think that his real ideas have been brought out in the performances of his music? MS: I think he was a very honest man in his creativity, and through his music he speaks free and completely — except works which were forced to compose like some kind of duty during Stalin regime. There are some songs and patriotic things; the Government ordered these pieces. But his music is like a mirror of our time, and we can recognize and understand how difficult the years, the minutes, the hours were; how much difficulties not only the Russian people felt, but all the world in the 20th century. Through his music we can see and understand. He helped us to understand through his music. BD: He touches our soul that way? BD: Is that the purpose of music, to touch the soul? MS: [Pauses for a moment] Purpose of music, it's so large scale, you know. It's partly to touch our soul, to help us understand what's around us, to understand good and bad, to be more [thinks for a moment] I don't know. Sorry, my English is not enough. BD: [Trying to be comforting and reassuring] Your English is very good, but when we start talking about music, the music itself says what we cannot say in words anyway! MS: [Without hesitation] That's right, yes. BD: One last question — is conducting fun? MS: Oh, big fun. Big fun. Sure! [Both laugh] Music is big fun. BD: Thank you for coming to Chicago. I look forward to the performances and hope you will return! MS: Yeah! Thank you very much. 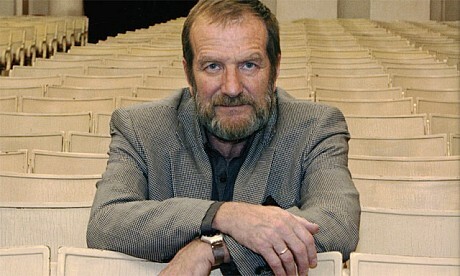 Son of the composer Dmitri Shostakovich, Maxim Shostakovich was born in 1938 in Leningrad. He studied piano at the Moscow Conservatoire with Yakov Flier and conducting with Gennady Rozhdestvensky and Igor Markevich. 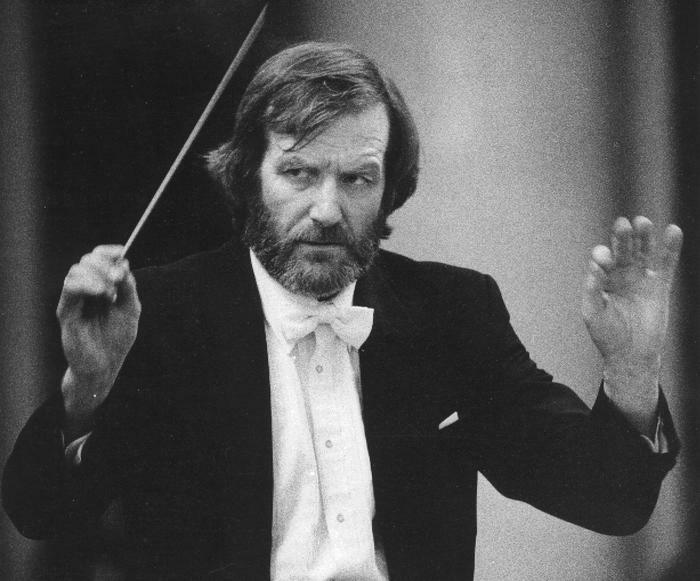 In 1971 he was appointed Principal Conductor and Artistic Director of the USSR Radio and Television Symphony Orchestra, with which he toured worldwide including Western Europe, Japan and the United States and premiered many important works, including his father’s Symphony No. 15 at the Moscow Conservatoire on January 1st 1972. In 1979 he conducted his father’s opera The Nose at the English National Opera. 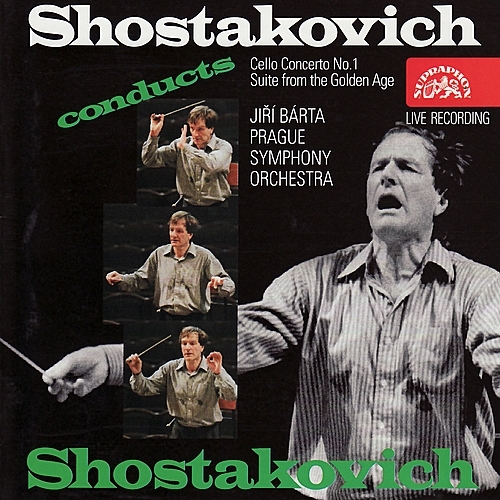 Maxim Shostakovich has conducted the major orchestras throughout the whole world, in America he has for instance worked with: the New York Philharmonic, Washington National Symphony, the Orchestras of Boston, Chicago, Cleveland, Philadelphia, Los Angeles, Detroit, Pittsburgh, Cincinnati, Atlanta, Toronto, Ottawa, Vancouver, Calgary, San Diego, Dallas, Houston and others. In the years 1986-1991 he was the Music Director of the New Orleans Symphony Orchestra. He has appeared with the Hong Kong Philharmonic as Principal Guest Conductor, with the Seoul Philharmonic, the Yomiuri Nippon Orchestra, the Symphony orchestras of the New Zealand and Jerusalem, the Kyoto Symphony, the Osaka Philharmonic, the Sapporo Symphony Orchestra and the New Japan Philharmonic. He has conducted extensively in Europe. In Germany he has worked with the Bayerischer Rundfunk, Beethovenhalle Orchestra of Bonn, Dortmund Philharmonic and with the Hamburg Staatsoper for the Yuri Lyubimov´s production of D.Shostakovich´s opera Lady Macbeth of Mtsensk. Maestro Shostakovich also conducted in England with the London Symphony, City of Birmingham Symphony and Royal Liverpool Philharmonic. In Sweden he worked with the Symphony orchestras of Malmö, Helsingborg, Norrköping and with the Göteborg Symphony. He made a production of Lady Mcbeth of Mtsensk at the Royal Opera in Stockholm. In Norway he conducted the Trondheim Symphony, in Switzerland with the Tonhalle Orchestra of Zürich, in Italy with the Orchestra Della Toscana in Florence and the Santa Cecilia Academy in Rome and in France with the Orchestre de Lille and Orchestre du Capitole in Toulouse. He also worked with the Rotterdam Philharmonic. Mr Shostakovich made his North America opera debut conducting D.Shostakovich´s Lady Macbeth of Mtsensk at the Juilliard School. In January 1984 he led the production of Tchaiikovsky´s Eugene Onegin at the Washington Opera to critical acclaim. Maestro Shostakovich conducts regularly at the famous St. Petersburg White Nights Festival. 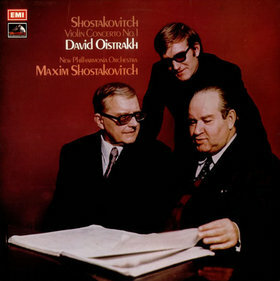 Mr Shostakovich records for labels Teldec, Koch/Schwann, Angel, Philips Records and Chandos. He has been involved in an ongoing project in collaboration with Supraphon, recording his father’s symphonies with the Prague Symphony Orchestra. Mr Shostakovich is a doctor of Arts of the Maryland University. This interview was recorded in Chicago on July 10, 1992, while he was engaged to conduct at the Grant Park Music Festival. Portions were used on WNIB (along with musical examples) in 1993 and again in 1998. It was used again on both WNUR and Contemporary Classical Internet Radio in September, 2006. The transcription was made in 2011 and posted on this website in September of that year.